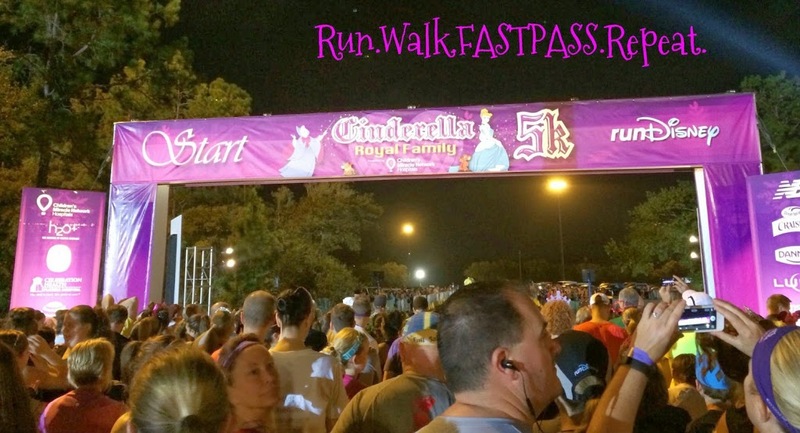 I did NOT run the Royal Family 5k 2014 Princess Half Weekend, yeah, I like sleeping in some while on vacation. 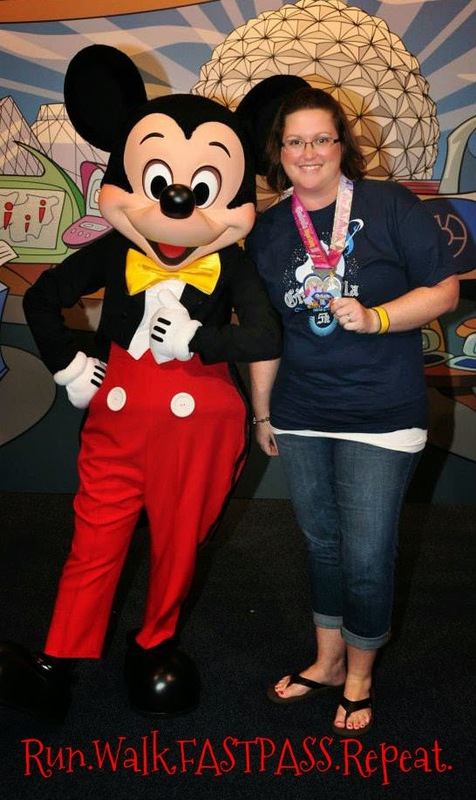 I wanted to share a 5k recap to cover #AllTheRaces so I asked my friend and Disney Travel Agent Jennifer Greene with Destinations in Florida Travel share her experience with y’all. 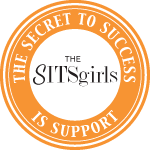 I affiliated my blog with her agency last year and booked my Princess Weekend with her. Knowing Jenn’s story, I thought it would be fun for y’all to hear how the Royal 5k went from someone who was running their very first 5k race EVER during the weekend. 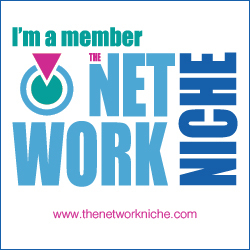 Way to go Jenn and thanks for sharing! Many of you reading this know me as Jenn-the Travel Agent with killer Princess Half Marathon Group rates. And yes that part is true, and because I had those great rates, I set a challenge for myself. 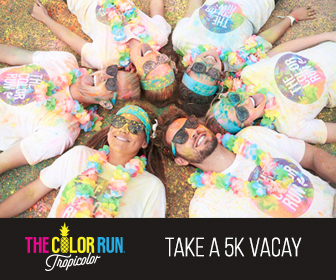 If I booked 25 rooms I would sign up for the 5k to do that weekend. You are probably saying that’s a lame challenge, well no not really because I don’t run unless it’s for the ice cream truck. So thanks to Julie and Patty I blew those numbers out of the water! Those DisBroads Rock for sure. I signed myself up for the race as promised and spent the next 5 months booking over 106 runners for Princess Half Marathon race weekend, not thinking about the 5k. Right after Christmas everyone started talking about Princess and race costumes. Oh geeze race costumes? What the heck, I don’t race; what does a costume entail? Of course I knew I needed a SparkleSkirt, because that’s what all the cool kids wear. And then my Little Mermaid idea was born, I sent a purple runner tank to a crafty friend and she bedazzled it and voila I had a cute little outfit to wear. With months of planning and taking care of clients it was time to pack it all up and head to Princess Half Weekend. I started my race weekend like everyone else does..at the Expo. I picked up my bib and bag with ease. The Expo was underwhelming because I am not a runner and seriously had no clue what half the stuff was, except for the free bananas I did grab one of those. 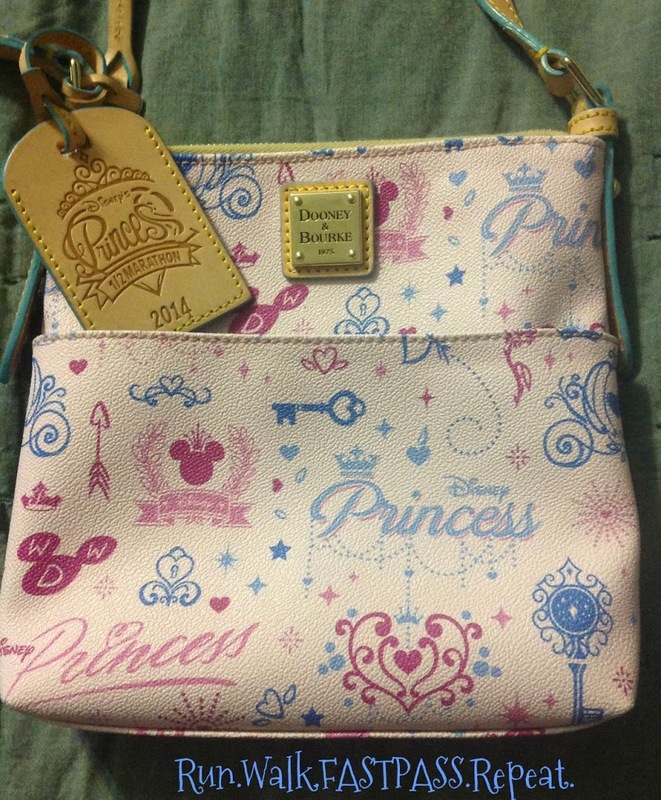 I did however get lured in by the Disney Dooney’s and rewarded myself with a cute cross body. Curse you awesome Disney collectibles! Everyone asks me where I got it so it was worth it right? 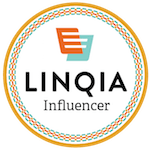 I sold my husband on the purchase by calling it a “marketing tool”. Hey, don’t judge I own a Disney travel business I can get away that. Around 7pm Thursday someone reminded me that I needed to be up at 4am for the race!!! Excuse me? What was that? I should have been in bed at 3pm today then! Lights out for this girl at 9:30! Race Day! My alarm goes off at 4am, and I leapt out of bed like a kid at Christmas. Wow! I wish I could always be this alert when my alarm goes off. This is so exciting it’s my first 5k and it’s in Disney. It’s going to be the best day ever. I get dressed in my super cute Ariel costume and head out the door for the bus. HOLY HUMIDITY!! What is going on here it’s 4.45am and I am sweating, in February no less. I had a luna bar, banana and water; a runners breakfast of champions at least that’s what I thought they ate because well as I said I’m not a runner. I hop on the bus and enjoy my breakfast of champions while I ride over to Epcot. I arrive at Epcot and am just blown away by what goes into a race. It’s total organized chaos, and well nobody does it better then Disney. I meet my team from work at the stage and what else would you do at Disney but have a dance party! It’s time to head to the corrals and my bib says corral B, but I stayed back with all my co-workers that are in corral E. Man it felt like I waited forever for E to get to the start (no it really did, corral A finished while we were still waiting to start). And then the fireworks, I am off.. my first race and I am actually running! I stop running to briskly walk with my co-workers and suddenly a breast feeding mom passes me, umm no that won’t do. I know I said I wasn’t a runner but I cannot be passed by a woman breastfeeding! So my co-worker Sara and I decide we are running because that won’t work for us. It’s not a very scenic run for a bit but you get to see the back side of Test Track, much cooler than the back side of water. Then you enter the World Showcase, that’s pretty cool. We were in sort of a lull so it wasn’t that crowded. We were in sort of a lull so it wasn’t that crowded. 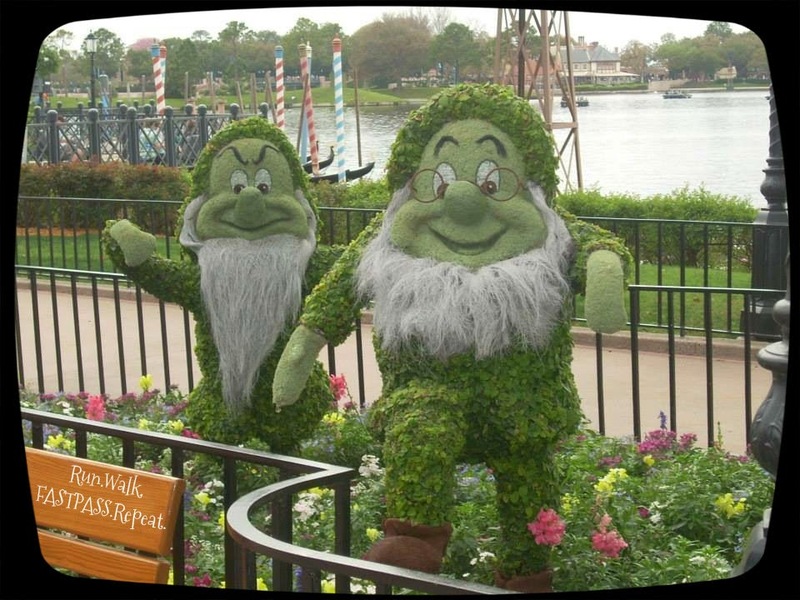 The topiaries were up and so darned cute! Sara my running pal was actually doing Glass Slipper so to give her a break we decided that we would walk pretty briskly and then run past photographers when they popped up. Those guys are like paparazzi, we saw them in a bush, on the ground all over the place in the oddest locations. How can I get a cute race photo if you are just popping up? We never stopped for any characters because the lines were insane, I would contribute that to being in the last corral and lots of kids running this race. That sort of bummed me out because characters are part of a Disney race, oh well maybe next time. Seeing how I don’t run and have never run any type of race as we are approaching Mile 2 I see the time is 1:15 and I look at Sara and yell “Oh hell no, we need to pick it up!” to which she laughs and says “No Jenn, that’s since the first corral started” OK awesome I thought turtles were passing me now too, good to know. 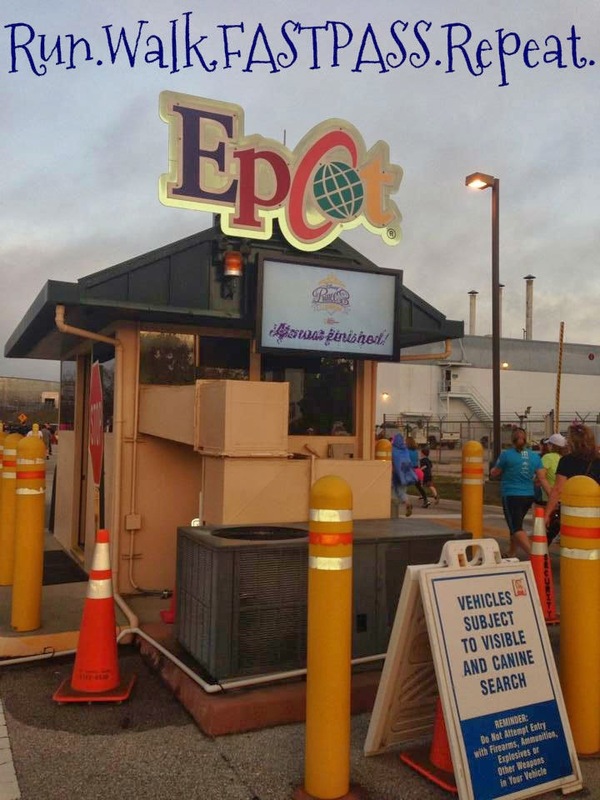 It was a leisurely run/walk through Epcot that’s for sure. Did I mention the humidity? By Mile Marker 3, I am sweaty and so not going to be cute for my finisher photo. But that’s OK because I just FINISHED my 1st 5k! Shut the front door, I did it, I really really did It and I have the cutest plastic bling to prove it. After I got my medal I was offered a powerade and a water, yes please I will take both because I just ran the most expensive 5k so give me all the goods my registration fee covers. I then grabbed my little snack box full of strange post race treats and yes another free banana (it’s an addiction, I see free bananas and I have to have them obviously). I grab a post race seat on the beach chairs and wait for the rest of my party to cross the finish. As I took in the past 3 hours activities I thought well that’s it, I am hooked. So this girl who is so not a runner is now signed up for a few local 5k races this year and will be training and signing up for my first Princess Half next year. I proudly walked around Epcot that evening wearing my race medal, and even snapped a few pictures with Mickey and Minnie. They were super proud of me, and I was super proud of myself. 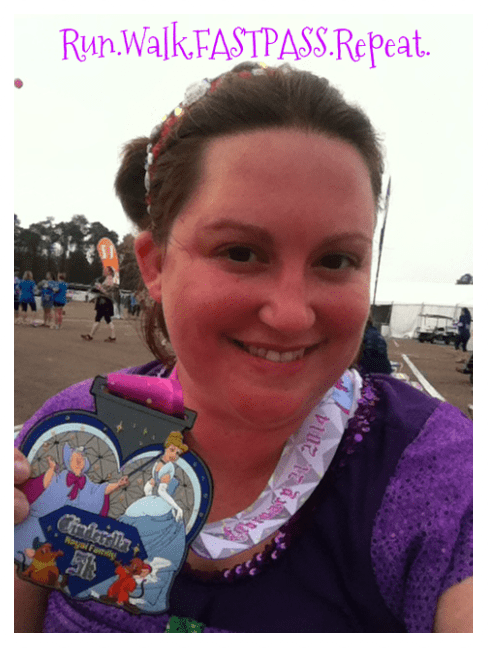 Thank you runDisney for being my gateway into the world of running, you are pixie dusted crack! Lastly, a huge shout out and thank you to Julie for being a friend and cheerleader of mine! I know she said this year would probably be her last Princess for awhile, but now she has to come and cheer me on next year! 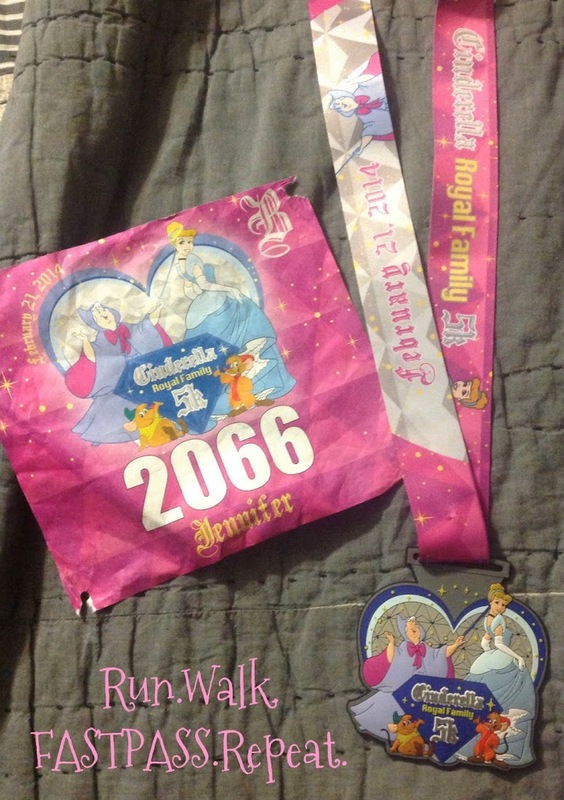 Julie here, thanks to Jenn for sharing her race or what I call “How Another Princess Gets Sucked Into the Cult that is runDisney”… WELCOME! AND for those who are running any upcoming runDisney races, Jenn’s agency Destinations In Florida Travel has some great group rates for Tower of Terror, Wine and Dine weekends. If you want a quote, tell her I sent ya! Did you run the 5k? What did you think? How does Jenn’s story compare to YOUR first 5k race? Thanks Guys! It was super fun! Yep its the finest KoolAid vintage! My first 5k was smallish and the last mile was uphill….yeah, I didn’t knwo much back then LOL. Thanks for the kudos to jenn! Congrats Jenn! Way to go getting it done! And for getting hooked on runDisney! Good luck in your races! You are so sweet Bonnie….I think its a huge step for someone to do the 5K who is not a runner…. and yep, now a runner and hooked on the magic pixie dust.